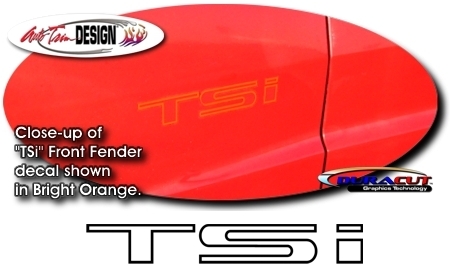 Need new TSi decals for your Conquest's Front Fenders? Get this new set that closely matches the factory fender decal as shown. Available in many colors, this easy-to-install decal set will "freshen up" your ride. Packaged as a set of two. Includes easy-to-follow online instructions. Get yours today!